Samsung nailed it with the Galaxy S8 and Galaxy S8+. 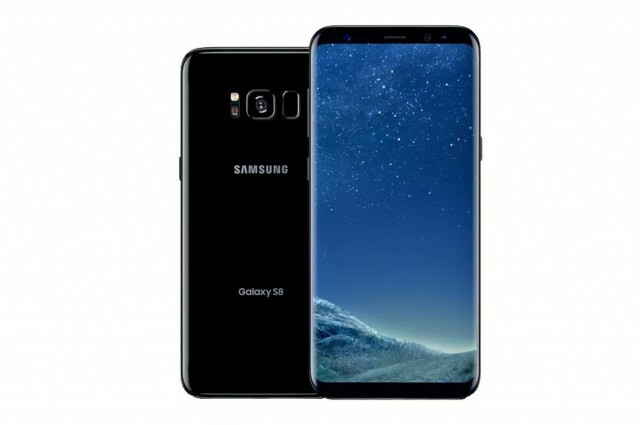 The two flagship smartphones are a huge hit, as the strong sales and raving reviews prove -- and that is in no small part due to their cutting edge hardware and attractive software. In fact, the Galaxy S8 and Galaxy S8+ are so good that Consumer Reports thinks they're the best smartphones that you can get today. As in any ranking, there has to be a winner and the bigger Galaxy S8+ takes first place in Consumer Reports' ratings. The Galaxy S8 is a close second though, being different basically only in terms of display and battery size. "If you want a stunning camera, long battery life, and gorgeous display in a water-resistant package, one of these could be the right phone for you," says Consumer Reports. But all that comes at a price, which starts at over $800 for the Galaxy S8+ and over $700 for the Galaxy S8. Regarding the new displays, which are taller than we are normally used to -- and larger too -- they do not make the phones difficult to hold in the hand, but because of their elongated shape (that comes as a result of the 18.5:9 aspect ratio) the upper part may be "hard" to reach with one hand. Consumer Reports also notes that "the fingerprint scanner on the back is awkwardly placed," which is something that I wholeheartedly agree with. It simply does not belong there, as that placement makes it unusable when the smartphone is on a flat surface, like a desk or table. And because it's so close to the rear camera, you risk leaving smudges as you try to unlock the device. However, those are pretty much the only downsides that Consumer Reports could find. The battery life, for example, is great, with the Galaxy S8+ lasting 17.5 hours on a 4G LTE network when transferring data and 14.5 hours when browsing the web over Wi-Fi. The Galaxy S8 hit 14.5 hours and 13 hours, respectively. The camera -- the same on the Galaxy S8+ as on the Galaxy S8 -- is the best that Consumer Reports has tested on a smartphone, with rich colors, "admirable" low-light performance, and "great video, as well." The water-resistant credentials were also put to the test, and both the Galaxy S8+ and Galaxy S8 passed with flying colors. The Galaxy S8+ dethroned its predecessor in the Consumer Reports ratings, pushing the Galaxy S7 edge to third place. Samsung's last year's flagship is followed by the LG G6 and the Apple iPhone 7 Plus.